Community Crop swaps are a way for neighbors to exchange what they’re growing in their community gardens and homes. There are currently three sites in Long Beach that are participating. If you’d like to start one closer to home, contact us! For more background on how we developed the concept with community input and partners, click here. The first neighborhood-driven crop swap is also the most dynamic – we’ve seen pomegranates, oranges, lemons, limes, basil, rosemary, passion fruits, avocados, eggplants, kale, lettuce, tomatoes, ice cream bananas, figs, chilis, sage and more! Join the North Long Beach Crop Swappers to get announcements. 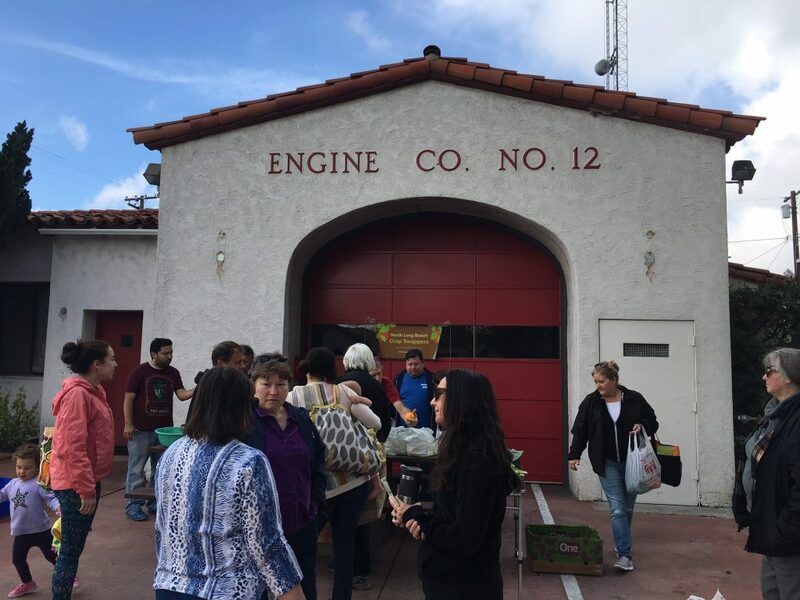 This swap is also a partnership with Vice-Mayor Rex Richardson – the site is a repurposed fire station that hosts his field office and the victory garden! 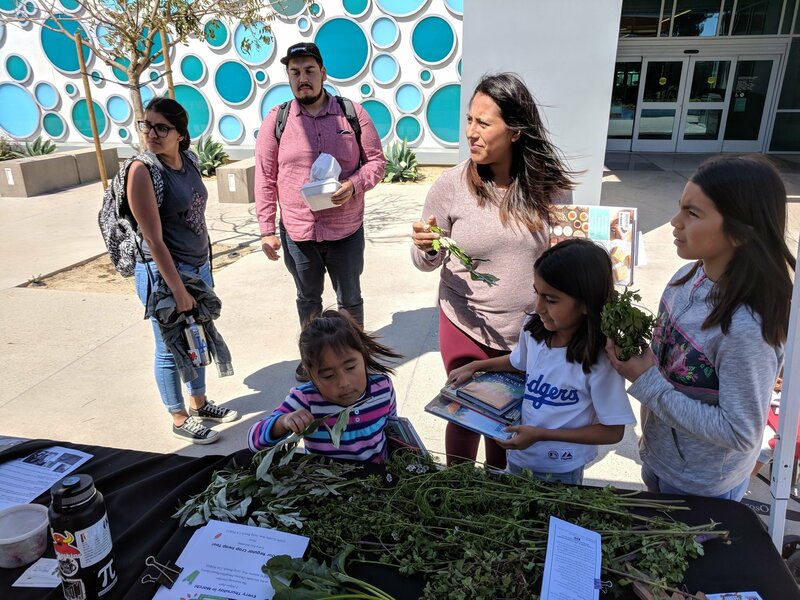 This North Long Beach crop swap is also made possible by the generous support of Kaiser Parmanente Heal Zone via LB Department of Health and Human Services and Coalition for a Healthy North Long Beach. 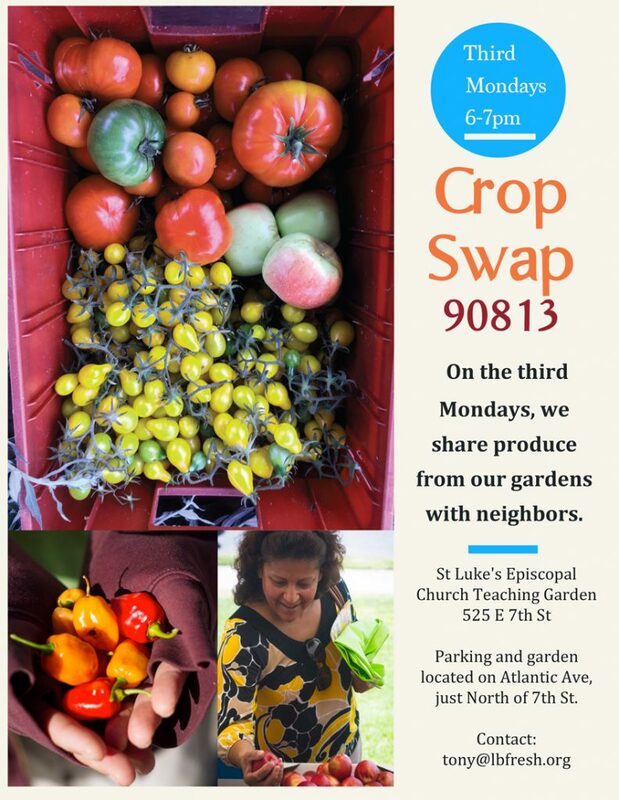 St Luke’s Episcopal Church has a nifty teaching garden where we host our evening crop swap. 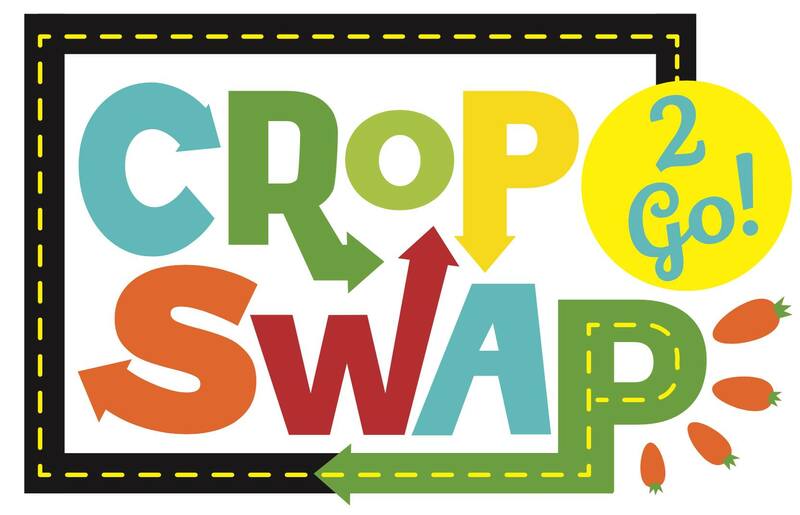 Join the Crop Swap 90813 Facebook Group to get involved! 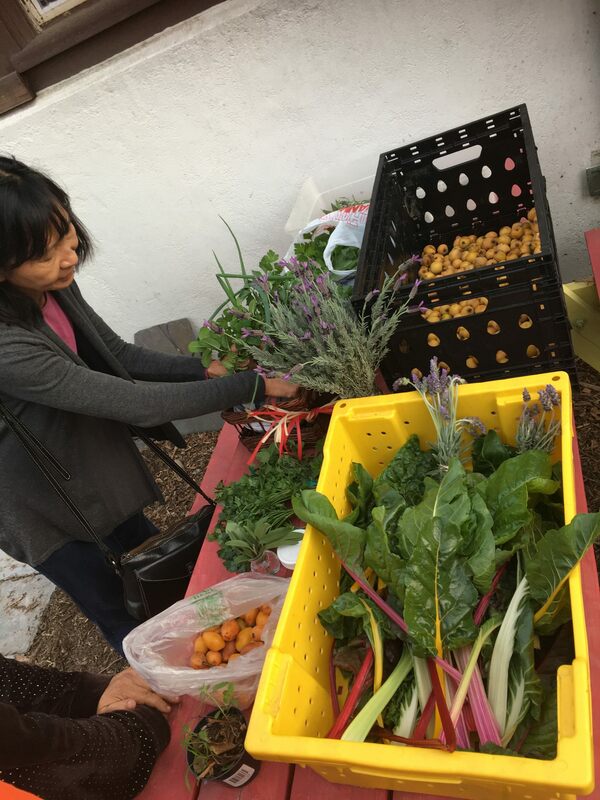 This swap was temporarily held as one where participants can simply drop and / or grab locally grown produce, and occasionally seedlings, for free. Of course, many locals end up sticking around to learn a few things, from seed harvesting, to planting, as local farmers and gardeners are on site at the Michelle Obama Neighborhood Library Learning Garden. In Summer 2018, it’s was held on the fourth Thursdays from 4-7pm at the library, located at 5870 Atlantic Ave, with free parking on site.